The author's goal as an educator and author is to build a bridge between computability and complexity theory and other areas of computer science, especially programming. Jones uses concepts familiar from programming languages to make computability and complexity more accessible to computer scientists and more applicable to practical programming problems. 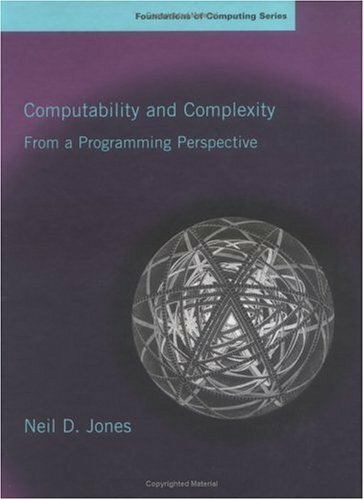 This book is intended as an introductory textbook in Computability Theory and Complexity Theory, with an emphasis on Formal Languages. Its target audience is CS and Math students with some background in programming and data structures.